You’re reading novel King of Gods Chapter 392 - Sent Flying online at LightNovelFree.com. Please use the follow button to get notification about the latest chapter next time when you visit LightNovelFree.com. Use F11 button to read novel in full-screen(PC only). Drop by anytime you want to read free – fast – latest novel. It’s great if you could leave a comment, share your opinion about the new chapters, new novel with others on the internet. We’ll do our best to bring you the finest, latest novel everyday. Enjoy! Using the G.o.d’s Spiritual Eye’s super eyesight, Zhao Feng pulled further and further away from the people of the Black Cliff Palace. In terms of eye sight, nothing surpa.s.sed Zhao Feng’s G.o.d’s Spiritual Eye, including the black demon crow in the sky that belonged to the Black Cliff Palace. However, in the Purple Saint Ruins, Zhao Feng’s G.o.d’s Spiritual Eye was also restricted and felt hard pressed after two hundred or so miles. On the way Zhao Feng was very careful as there wasn’t just the Black Cliff Palace around. Furthermore, the ruins were also very dangerous. Zhao Feng travelled four to five hundred miles and finally found a quiet and calm spot. Zhao Feng walked into a stealthy cave. In this dangerous Purple Saint Ruins with no one to guard and protect him, cultivating in seclusion was extremely dangerous. At this time Zhao Feng’s G.o.d’s Spiritual Eyes’ power was unleashed. He knew some arrays and had some materials of which he was able to create a stealth array within a few miles. However, even then Zhao Feng still left a bit of his consciousness in the outside world. Zhao Feng sat cross legged on the ground and took out the Blackpool lightning crocodiles lightning bone. It was a jade-like bone with the occasional flicker of dark lightning. The lightning bone wasn’t just the storage of the Blackpool lightning crocodile’s lightning. It also contained the profoundness of the nature of lightning. In terms of value this lightning bone was even worth more than the Lightning Mystic Stone Zhao Yufei gave him. Zhao Feng put his two hands onto the lightning bone and a Qi of True Spirit with lightning appeared on his palm. Zhao Feng’s body flashed with lightning and the connection between him and Lightning Yuan Qi became even stronger. In just a thought Zhao Feng could summon several more times Lightning Yuan Qi, something that only those at the True Lord Rank could do. Unknowingly, the insights gained from the transferring across s.p.a.ce was being merged into Zhao Feng. He started to absorb the essence of lightning within the lightning bone and started to comprehend it. Because of his high mental energy level, Zhao Feng’s cultivation speed was insanely quick, and the Lightning Yuan Qi cleansed his body and purified his Qi of True Spirit. Within half a day, Zhao Feng had stepped into the early stages of the True Mystic Rank. After all, at the Sacred True Dragon Gathering he was already quite close to it. And at this moment only half the lightning bone was absorbed. The remaining half of the lightning bone and water heart pulse could increase Zhao Feng’s foundation and by relying on his True Lord Rank mental energy level, he had a 50% chance to reach the late stages of the True Mystic Rank within ten days. However, Zhao Feng decided against this. Firstly, the Purple Saint Ruins was too dangerous and if he was unlucky geniuses might come by and interrupt his cultivation. Ten days to half a month was far too long and Zhao Feng could use this time instead to explore the place and search for fortune. Secondly, the rapid increase in cultivation meant an unstable foundation and one’s strength didn’t rise dramatically when reaching the late stages of the True Mystic Rank. Zhao Feng had a sharp sense in making decisions. If he did this Zhao Feng’s strength would increase and create a better future. Over the next day Zhao Feng used the essence of lightning within the lightning bone to refine his True Spirit Lightning Flame and his True Spirit Lightning Flame’s power increased by a small level. The reason why he chose to increase the Lightning Fire G.o.d’s Eyes’ power was because this skill countered the wicked path. If Zhao Feng met the geniuses from the Black Cliff Palace again then he would have more of a chance. The lightning bone split into pieces and fell onto the ground. Zhao Feng closed his eyes and absorbed the profoundness of lightning that was unleashed from it. By merging his Lightning Inheritance with the Mystic Flower Treasured Bible then absorbing the natural laws of lightning from the Lightning Mystic Stone and lightning bone, Zhao Feng’s skill had surpa.s.sed its original limits. Furthermore, the power of transferring across s.p.a.ce had also opened Zhao Feng’s eyes to another world and his skills, mental energy level had both increased. The third floor of the Lightning Inheritance lit up and around it was sizzles of lightning. When Zhao Feng opened his eyes the Lightning Mystic Flower mark on his forehead became even brighter. To comprehend the Lightning Inheritance to this level usually required the cultivation of the late stages of the True Lord Rank, but Zhao Feng was only at the early stages of the True Mystic Rank yet had the mental energy strength of a True Lord Rank. Zhao Feng then started to eat the water heart pulse. The Blackpool lightning crocodile’s body was extremely strong, and Zhao Feng had witnessed the four Wind Snow Pavilion geniuses attack it for a long time before killing it. If the Blackpool lightning crocodile was a bit faster, they probably would’ve been able to kill it. The water heart pulse was the core of the crocodile’s strong body and after eating it, one could increase their body strength and strengthen their meridians. Without a doubt Zhao Feng split the faint black heart into three pieces then ate it. The reason he did this was because he was scared the energy contained within it was too strong. Zhao Feng had focused on body strengthening when he was at the Ascended Realm and endured a lot of pain. However, the energy within this water heart pulse was much calmer than before and released a cool soft power after it entered the body. Through the process Zhao Feng felt his body become stronger and even his bones were changed. Zhao Feng had felt a major effect just by eating the first piece. His meridians and even dantian had widened. Zhao Feng circulated his Qi of True Spirit and with the enlargement of meridians, he felt it was much smoother and increased his cultivation speed. Because Zhao Feng didn’t focus on body strengthening anymore and his body was now considerably weak compared to others, the water heart pulse had a major effect on him. If it were s.h.i.+ Chengtian then there would be not much increase. The enlargement of his dantian and increase in strength of his flesh ignited Zhao Feng’s potential. When all three pieces were eaten Zhao Feng’s body became stronger and his cultivation even rose a bit. Most importantly, Zhao Feng’s foundation was now solid and meant his cultivation speed from now would be faster. Just one fist based on pure body strength alone from Zhao Feng now could kill a weak True Human Rank. After the lightning bone and water heart pulse was expended Zhao Feng closed his eyes and decided to comprehend for another day. Zhao Feng felt his stealth array sense something. Zhao Feng turned into an arc of lightning that disappeared from the cave and at the same time three dark figures two miles out closed in on the cave Zhao Feng was originally in. The leader was a man with black chains wrapped around his arms. He was extremely skinny and was like a human skeleton. His eyes were dark and flashed red. On his left and right was a male and female respectively. The former was a bulky man holding a blade jagged blade. The latter was a cold girl holding a black lotus with a black snake under her feet. When these three walked together, they brought a cold, b.l.o.o.d.y aura with them. No matter how you looked at them you could tell they weren’t of the Righteous Path. His path of retreat had no specific direction and even purposely pa.s.sed through some dangerous spots to guard against being pursued. The leading man with chains had reached the peak True Mystic Rank and his aura was a bit stronger than the eagle-eyed man from before. The man with the jagged blade and black lotus girl were both at the late stages of the True Mystic Rank and stronger than Tantai Lanyue and G.o.ddess Bing Wei. The man was the jagged blade moaned. The black snake underneath the girl’s feet stuck out its tongue and aimed towards Zhao Feng’s cave. Zhao Feng understood the reason he was found but was also puzzled. At this point in time the Wicked Teeth group closed in on the cave Zhao Feng was in and three spiritual senses locked onto this area. The three revealed a look of surprise. There was no one within the cave but it was still warm and full of Lightning Yuan Qi. There were even footstep marks here. From these details one could be certain that the person hadn’t gotten far away. The leading man’s eyes flashed red. As the three were about to split up a ‘hum’ of lightning sounded behind their back and immediately following that was the summon of Lightning Yuan Qi. The atmosphere in the air became tense as if a storm was about to arrive. Lightning surged, and a cold gust of wind blew from behind. The roar of a dragon could be faintly heard. In that instance a chaotic dragon made of lightning and ice charged over and flattened everything within a hundred yards radius. Before the Wicked Teeth group saw the figure clearly the dragon of ice and lightning had arrived, and they could only activate their secret techniques to defend as they had to time to dodge. The three figures were sent flying, leaving behind a large hole on the ground in the shape of a dragon. The earth had cracked, and black smokes rose. The cave Zhao Feng originally was at had disappeared and this area was soon covered by dust. 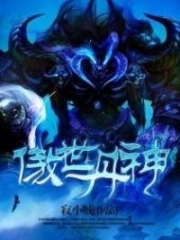 You're reading novel King of Gods Chapter 392 - Sent Flying online at LightNovelFree.com. You can use the follow function to bookmark your favorite novel ( Only for registered users ). If you find any errors ( broken links, can't load photos, etc.. ), Please let us know so we can fix it as soon as possible. And when you start a conversation or debate about a certain topic with other people, please do not offend them just because you don't like their opinions. You're reading King of Gods Chapter 392 - Sent Flying. This novel has been translated by Updating. Author: Fast Food Resturant,快餐店 already has 8921 views. Current Time is Apr-23-2019 22:19:35 PM.